Natural skin care is an important turning trend in beauty industry. Healthy beautiful skin starts from inside out. The world is changing and is making it easy to be green, even when selecting cosmetics. Joyal Beauty is conceived and created to bring intelligent, sustainable and healthy organic beauty to each and every one of us. It was founded in California with the passion for creating the most healthy and effective premium-quality natural skincare products therefore capable of sustainable contributions to our community and planet. Our natural organic skincare line contains the most healthy, natural and organic ingredients from certified and environmentally friendly cultivation. A portion of each Joyal Beauty sale is contributed to support Environmental Protection Nonprofit Organization, Breast Cancer Foundation, and Children's Research Hospital in California. Our natural skincare products are proudly manufactured by our FDA certified facility under strict GMP compliance. We only carefully choose vegan formulas, highest quality sustainable and biodegradable raw materials. Every Joyal Beauty product is 100% made in USA. Most of our natural skincare products contain over 98% natural and over 70% organic ingredients. We use green sustainable energy and recycled packaging with less paper for caring our planet. And we adopt strict Quality Control Systems to make sure every product become a treasure for your beautiful skin. Because of our green eco-friendly practice, we choose green as our signature color to promote a healthy lifestyle and going-green culture. Our products do not contain parabens, sulfates, phthalates or petrochemicals, and we do not test on animals.The carefully selected plants and herbs extracts are sourced from organic cultivation whenever possible. We only use natural vitamins with highly effective and beneficial properties.We use vegetable oils and plants essential oils with excellent moisturizing and nourishing properties. These natural oils effectively work to improve the skin status, rather than the widely used cheap paraffin, which tends to aggravate the skin. Synthetic perfumes are replaced by natural organic essential oils and even the preservatives used are completely natural. We do not add any unnecessary chemicals and colors like other brands just to make them look good. We want it is really good and safe in a long period of time. So every ingredient of our product is 100% healthy and effective to help your skin restore its natural beauty and show its radiant glory. Joyal Beauty believes everybody is unique and beautiful just as this wonderful planet is. The reason we are here is to help you feel great about yourself. When you look good, you feel great; When you feel great, we feel honored! You are not just our customers, you are our friends and family---one big happy family on this beautiful planet! Our natural skincare products deliver luxury feeling at most affordable price for you. Therefore we are able to offer your skin the health and beauty it deserves, as well as 100% reliability for our natural skincare products with care and love. *Best For Anti-wrinkle and Anti-aging! * Best Night Serum! *72% Organic! *Parabens-Free, Sulfates-Free, Phthalates-Free, Petrochemicals-Free! *No Mineral Oil! No Alcohol! *100% Vegan! Cruelty-Free! *Proudly Made In USA By Our FDA-Certified Facility! *Premium Standard Highest Quality On The Market! 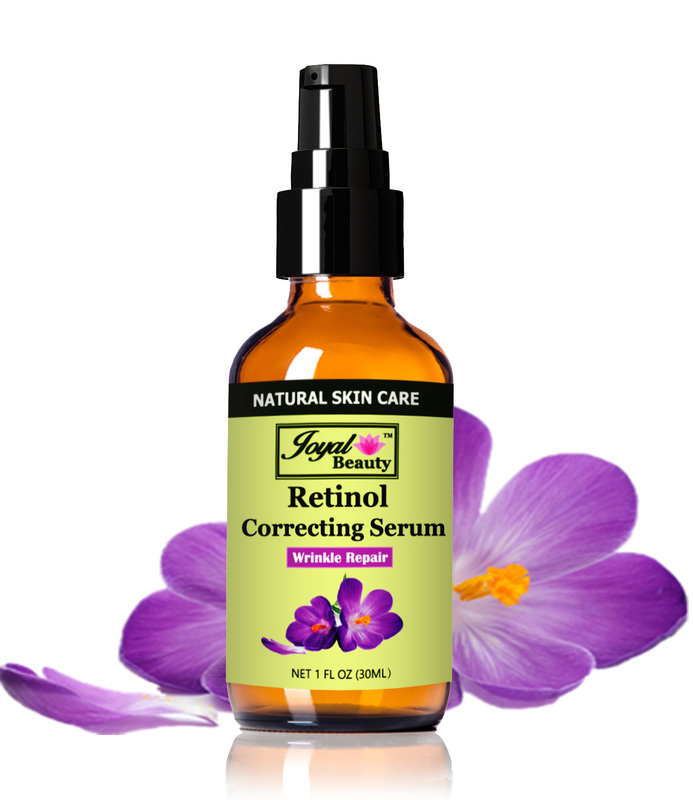 Joyal Beauty Retinol Correcting Serum is the best night serum for anti-aging. Retinol acts as a sort of skin cell hypnotist, because it attaches to almost any skin cell and convinces it to behave like a younger, healthy skin cell. Retinol also works as an antioxidant, which can prevent free radicals and increase collagen production; it can also reduce existing wrinkles, fight acne, unclog pores, strengthen aging skin, and repair sun-damaged skin. These benefits will give you better facial skin, clear your face, reduce face lines and red cheeks, as well as fight and prevent aging skin. Reduce acne outbreaks by preventing dead cells from clogging pores. By clearing acne and reducing outbreaks, it also reduce the formation of acne scars. Help many skin problems such as psoriasis and warts. Eliminate wrinkles and fine lines. Increase skin plump and firm by boosting collagen and rebuilding cellular. 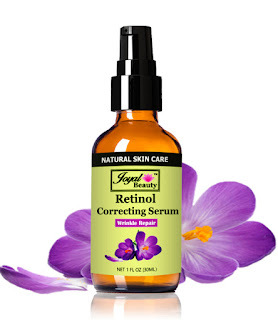 Joyal Beauty Retinol Correcting Serum has dramatically improved my skins firmness. My skin feels plump and hydrated after just a few weeks of using Joyal Beauty Retinol Correcting Serum. I'm amazed at how quickly the fine lines around my eyes have softened. My laugh lines have diminished and my skin has a very healthy glow. I also love how soft my skin feels. This is a great product! Follow Joyal Beauty on social media!